When Marnie returns home to London after spending two years travelling to different parts of South America, she's single and looking for love. To Marnie's surprise she soon finds out that she isn't the only one. After the breakup of her friends various relationships, Helen, Ani and Rosa are all single too. 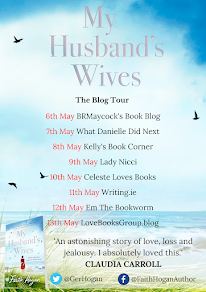 With the four women now in their thirties, they decide that there is no time like the present to find love. Rather than follow the latest craze and join an internet dating website, the girls decide to set each other up with one if their own exes. We follow the girls on their quest for love, dating each others exes and having fun along the way. After reading a few heavy crime novels, this was exactly the light hearted read that I needed. The Ex Factor had me in fits of laughter throughout and I found that I had the book read in no time. The pages seemed to turn themselves and one more chapter was never enough. The Ex Factor is a total breath of fresh air and I love that it doesn't take itself too seriously. The thing that I loved the most about this book is that it switches between the point of views of each of the four characters. I love a book that is told in this way because I feel that it allows the reader to get to know the characters better than if the story is told from one characters viewpoint. As far as main characters go, Marnie, Helen, Rosa and Ani are some of the best developed characters that I have read in this genre to date. Each came with a brilliantly developed back story. From the very beginning of this book, I felt as though I knew each of the girls for years and that they are close personal friends of mine. Each character is so different and their individual personalities really shine through to make this book the gem that it is. The cover is bold and beautiful and signifies the perfect summer read, which is exactly what this book is. The Ex Factor has a cover that would definitely attract my attention for the shelves in the bookshop. The Ex Factor is a fantastic read that takes a look at dating in the modern world, with lots of twists and turns thrown in along the way, taking the characters and the reader on one hell of a journey. Full of witty comments and funny scenes that will have the reader laughing out loud from the word go, The Ex Factor is a superb read from start to finish. 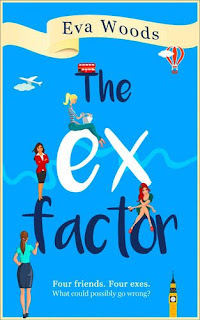 If you are looking for the perfect read to accompany you to the beach or to cuddle up on the sofa with, then look no further than The Ex Factor. Eva Woods has written one cracker of a story and she must be applauded for her ability to make people laugh. I loved every moment that I spent with this book. I really can't recommend The Ex Factor enough, who doesn't need to lose themselves in a hilarious and highly entertaining book for a few hours. You won't regret reading it.